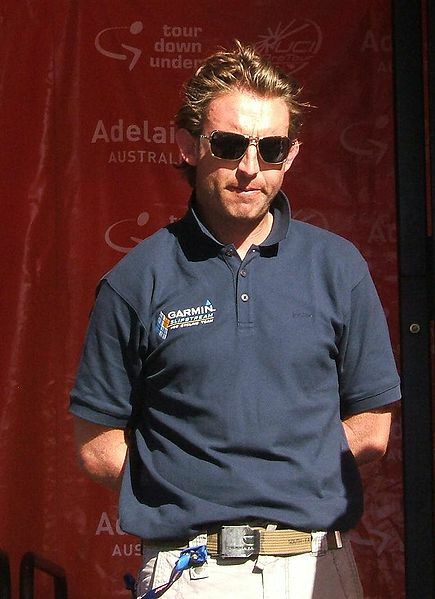 Jonathan Vaughters and Slipstream Sports sacked Matt White after allegedly discovering that he referred rider Trent Lowe to a controversial Dr. by the fantastic name Luis Garcia del Moral back in April 2009. Story at cyclingnews.com here. I think it is great news that Vaughters and the team take their responsibility serious and follow their internal policy "that all medical referrals are to be approved by our medical staff". This will add more strength to the brand G-C is building, and will be seen as a sign that they take any irregularities when it comes to medical issues and doping seriously. The timing could indicate that Vaughters found out that White is moving to GreenEDGE cycling after this season. Rumours have been circulating ever since Inner Ring came up with the alleged GreenEDGE recruitment methods, although Vaughters dismiss this as the cause. White joined Cycling Australian (CA) National Team earlier this month according to this site. And you all know the strong ties between CA and GreenEDGE. That doesn't necessarily mean anything but I find it interesting. It is also a possibility White was asked to join CA just to strengthen the team after Bannan quit. Do not be surprised if you see Matt White in a Jayco car next year.